This article is #6 of a 7 part series . For additional suggestions checkout the rest of the Growing Your Property Management Business series. Develop a reputation as a supportive property manager, and encourage clients to share this online. In business, your reputation is everything. Even if you're a smaller property management company, if you can build a big reputation, you can tell prospective owners and tenants that you're a company that can be trusted. When you're wondering how to grow your business, consider how online business reviews can bring down or boost your property management reputation. Take control of your property management business by managing your reviews. It used to be that your business reputation was formed by the word on the street. People who'd been your tenants or owners would talk, and they'd tell their friends and family the upside and the downside of your business. Today, social communities are wider and strangers can talk about your business even if they live far away from each other. According to Small Biz Trends, "eighty-five percent of the small businesses surveyed said customers learn about them through word of mouth," and today, word of mouth spreads just as quickly online as it does offline. You will have an online reputation whether you manage it or not, so it's best to manage it. Managing your online reputation means that you take control of your corporate brand, monitoring what others say about your business and using this information to learn and grow. You're also visibly responsive to critiques online. To develop your property management reputation, you can actively solicit online business reviews. This will help your reputation grow in a positive way. According to Reputation Loop, all businesses should ask themselves these questions: "Can buyers find me online when they look at their preferred review and comparison sites? What are potential customers seeing that will make them choose my business over others? Is my business showing up at the top of search engine local search results with five-star reviews?" To generate a positive buzz about your business online, you can post signs in your business that ask customers to review you on Yelp, Facebook, or other review sites. If you interact with customers online or on the phone, do the same after each phone call or online interaction. Have buttons clearly visible on your blog, and highlight positive customer reviews on a website testimonials page. If your reviews are sparse, consider offering an incentive to customers to post a review online for your business. Make sure that customers know that they should contact you directly with questions or concerns so that their worries or negative experiences do not make it onto review sites. In spite of all of your best intentions, you may occasionally receive a negative review. After all, we all make mistakes sometimes. Will your reputation suffer if you receive a negative business review? It might, depending on how well the individual publicizes the review. When you get a negative review, you need to look at the source. See if you can determine who is making the review. Sometimes, this review might come from a competitor who is trying to damage your property management reputation. If you feel like the review is inaccurate or malicious, you can contact the review site and request that the review is removed. If the review is regarding a real incident, you need to decide how you'll respond. Some businesses have a policy of responding to all of their reviews. This can be time-consuming, but it can also give you a reputation for being a caring and responsive company. Develop a company policy and suggested language for responding to negative reviews, so that you can have a consistent online business persona. By developing a process for replying to reviews, you not only have the possibility of turning a dissatisfied customer into a satisfied one, you show that you are a company that cares. Do you want to solidify your property management reputation? Propertyware has the tools you need to effectively manage your business. From software that features tenant and owner portals to a customer contact center, we facilitate healthy communication with tenants and owners. 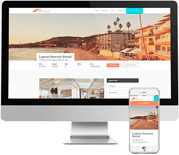 Solidify your property management marketing today: watch a demo to see how Propertyware can boost your business.